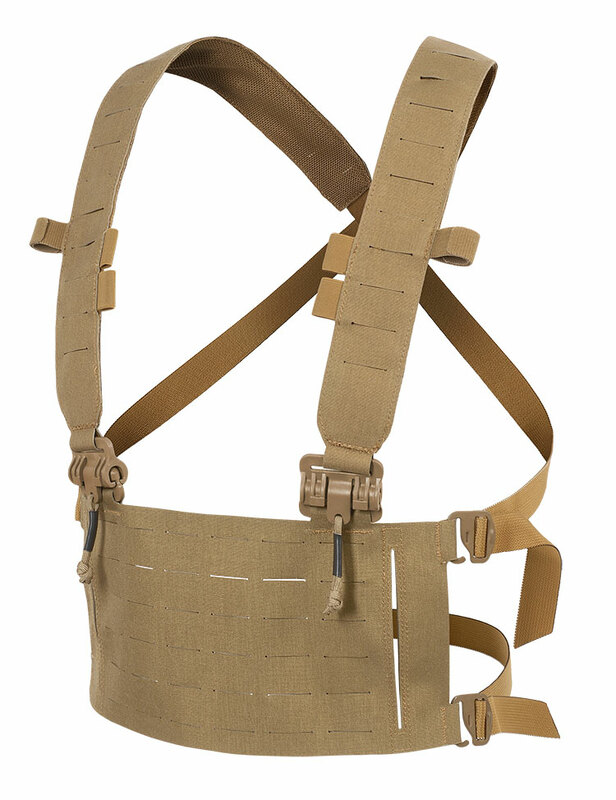 The THOR Chest Rig enables the user to transport task and mission essential equipment by attaching pouches to the 6 or 8 column wide Slot Attachment Interface (SAI) on the chest panel and shoulders. Cables can be routed through the elastic loops and an antenna or hose through the double sided hook/loop webbing. 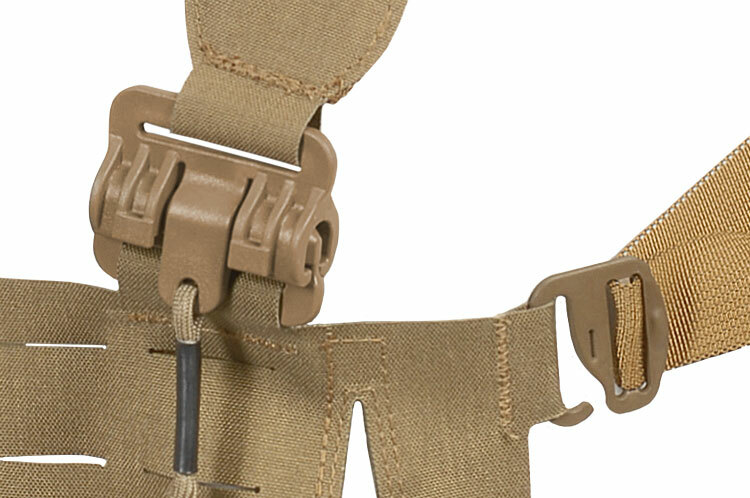 The chest rig is secured and adjusted in height and width through the four lateral G-hooks. The yoke may be added for increased load bearing capacity and comfort. 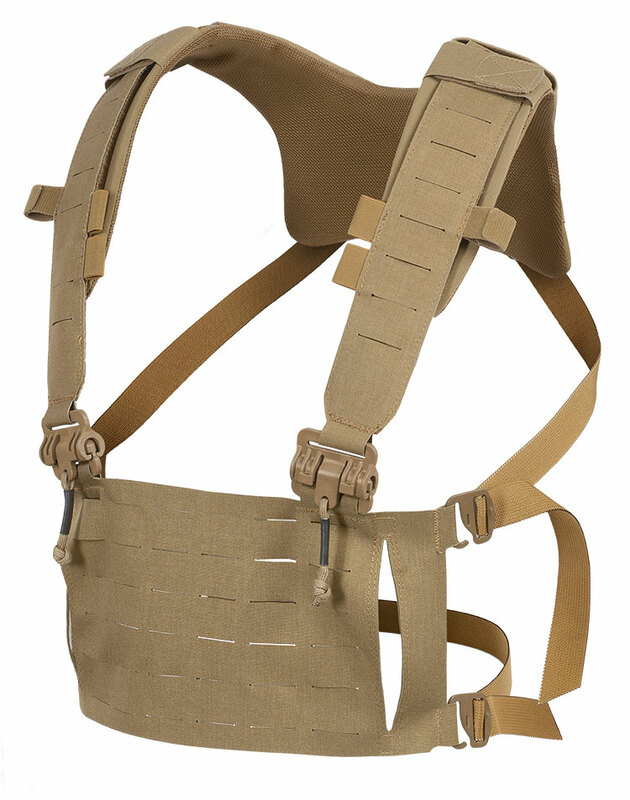 The Chest Panel 6T is compatible with THOR Plate Carrier, the 8T with THOR Protection and Integrated Carrier. Versatile, multi role chest rig. Adaptable to fit on many different THOR products.